Is the information below true? I have heard that McCain crashed five planes. In searching the web I found this information. It was located at [DELETED] Thank you for more information. Update, Oct. 12: We have further updated this article to include details from newly released Navy records of an investigation that found McCain’s first crash was due to pilot error, and not, as McCain has stated, an engine failure. The L.A. Times story also pinpointed the dates of early incidents more closely, and we have rewritten and re-ordered some sections to reflect this new information. Update, Sept 19: This item was originally posted Sept. 5, 2008. We have updated it to include additional details of the 1967 Forrestal disaster from official documents, which differ from McCain’s own, widely accepted recollection. We have also included McCain’s admission of “daredevil clowning” in an accident that did not result in loss of his plane. We have had numerous questions about this widely circulated claim. Some say McCain “lost” five planes, others that he “crashed” five planes. All offer this alleged “fact” as evidence that he was a bad pilot. All are incorrect. McCain did lose two Navy aircraft while piloting them. One crash was found to be McCain’s fault, the other due to an engine failure of undetermined cause. A third was destroyed on the deck of the carrier USS Forrestal when a missile fired accidentally from another plane hit either the plane next to McCain’s or, less likely, his own aircraft, triggering a disastrous fire that killed 134 sailors and nearly killed McCain. A fourth plane was lost when he was shot down over North Vietnam on a bombing mission over Hanoi. A fifth alleged “crash” turns out to be a misinterpretation of a flight accident that did not result in the loss of the aircraft. McCain admitted to causing that incident through “daredevil clowning” but returned safely. None of these incidents prevented McCain from winning regular promotions and being assigned additional flight duty. The Navy praised his “aggressiveness and skillful airmanship” when awarding him the Navy Commendation Medal for an attack Oct. 18, 1967, on a shipyard in Haiphong, North Vietnam, prior to his capture. The Navy also commended his “superb airmanship” in awarding him the Distinguished Flying Cross for a bombing attack on a Hanoi power plant Oct. 26, 1967. His plane was hit by a surface-to-air missile on that mission, but he “continued his bomb delivery pass and released his bombs over the target” before being forced to eject, according to the official citation. The Navy has released and posted copies of McCain’s several medal citations and commendations. We have not seen any similar release of official reports of his accidents, or of his fitness reports as a young officer. However, we do have accounts of the incidents both from McCain himself and from his biographer, Robert Timberg, a former White House correspondent for the Baltimore Sun, and now editor of the U.S. Naval Institute’s magazine, Proceedings. Timberg’s award-winning book, “The Nightingale’s Song,” tells the story of McCain and four members of his Naval Academy class who later rose to prominence. It was published in 1995. McCain’s book “Faith of my Fathers” was published in 1999. First Crash, March 12, 1960: This took place while McCain, a young, unmarried officer not long out of the Naval Academy, was in advanced flight training at Corpus Christi, Texas. Timberg and McCain both give the cause as engine failure, but a Navy investigation blamed McCain’s inattention to altitude. McCain, 1999 (pp155-156): I crashed a plane in Corpus Christi Bay one Saturday morning. The engine quit while I was practicing landings. … I barely managed to get the canopy open and swim to the surface. … I took a few painkillers and hit the sack to rest my aching back for a few hours. … I was out carousing, injured back and all, later that evening. Los Angeles Times, Oct. 6, 2008: Cockpit instruments that froze on impact showed the engine was still producing power. When water quenched the exhaust stack, it preserved a bright blue color, showing that the engine was still hot. And an aviator behind McCain reported that the engine was producing the black smoke characteristic of Skyraiders. Investigators determined that McCain was watching instruments in his cockpit that indicated the position of his landing gear and had lost track of his altitude and speed. “Clowning” in Spain, about December 1961: Those who claim McCain lost five planes – when they bother to give specific citations at all – point to an incident described by McCain, and also in Timberg’s book, as happening on one of McCain’s deployments to the Mediterranean. The L.A. Times put the date of the incident as “around December 1961,” while McCain was on a training mission flying from the USS Intrepid. Timberg, 1995 (p. 94): His professional growth, though reasonably steady, had its troubled moments. Flying low over the Iberian Peninsula, he took out some power lines, which led to a spate of newspaper stories in which he was predictably identified as the son of an admiral. The tale has gotten better with age. These days they talk about the day McCain turned the lights out in Spain. McCain, 1999 (p. 159): There were occasional setbacks in my efforts to round out my Navy profile. My reputation was certainly not enhanced when I knocked down some power lines while flying too low over southern Spain. My daredevil clowning had cut off electricity to a great many Spanish homes and created a small international incident. The L.A. Times, which interviewed others who were in McCain’s squadron at the time, reports that he returned to the carrier with 10 feet of power line trailing from his plan, and with a severed oil line. But while McCain himself admits this incident was cause by his own “daredevil clowning,” he landed safely and did not lose the aircraft. McCain’s detractors should scratch that “crash” off their list. Despite the incident in Spain, and the earlier finding that McCain was to blame for the Corpus Christi crash, McCain was promoted to full lieutenant on June 1, 1962. Second crash, Nov. 28 1965: By this time Lt. McCain was stationed at Meridian, Mississippi, and was newly married to his first wife, Carol. McCain had flown to Philadelphia to attend an Army-Navy football game with his parents and was bringing back Christmas presents for the family in the baggage compartment of his plane. His jet engine quit over the Chesapeake Bay. McCain, 1999 (p. 172): Somewhere between the Eastern Shore of Maryland and Norfolk, Virginia, as I was preparing to come in and refuel, my engine flamed out, and I had to eject at a thousand feet. The Christmas gifts were lost with my airplane. A little more than a year later McCain was promoted to lieutenant commander on Jan. 1, 1967. At the time of this incident Lt. Cdr. McCain already had flown several bombing missions over North Vietnam from the aircraft carrier USS Forrestal. As he was in his A-4 Skyhawk, loaded with two, 1,000-pound bombs and waiting on the carrier deck for his turn to launch, a Zuni missile accidentally fired from another aircraft, swooshed across the carrier deck and struck either McCain’s plane or one next to it. That triggered a fire and a series of bomb and missile explosions that killed 134 sailors. McCain himself barely escaped alive. He quickly leaped from his plane into the pool of burning jet fuel that immediately surrounded him. About 90 seconds later he was blown 15 feet back when the first bomb “cooked off” and exploded, killing several nearby firefighters. McCain, 1967 statement: I heard a loud explosion and immediate fire all around the airplane . . . Smoke and flame were around the cockpit so I unstrapped . . . and unplugged my oxygen hose, keeping my visor down. I looked to the aft of the airplane and saw nothing but flame and I could see burning fuel in front and around the airplane but it did not look too bad to the forward. I opened the canopy and walked out on the refueling probe and jumped from the end of it, landing just on the edge of the fire and rolled clear. McCain said that he rushed to help another pilot who had gotten out of his plane and had jumped into the flames and rolled clear, but was still on fire. McCain, 1967 statement: I started running over towards him and I was near a group of men with a fire hose. As I was about 10 feet from him the first bomb exploded and blew me back about 15 feet. I sat up and saw a lot of bodies near me (some who had been on the hose) and I ran and jumped over the starboard cat walk [under the flight deck]. The Forrestal was badly damaged and put out of action for two years. A little more than a month after the disaster, McCain was flying missions from another carrier, the USS Oriskany. McCain has said for years that the missile struck his own plane, and this has been widely accepted. But official documents don’t support that. We now judge it more likely that the missile first struck a plane next to McCain’s and that his own memory of the event has changed in the years since. McCain, 1999 (p. 177): I took my helmet back … and shut the plane’s canopy. In the next instant, a Zuni missile struck the belly fuel tank of my plane, tearing it open, igniting two hundred gallons of fuel that spilled onto the deck, and knocking two of my bombs to the deck. Freeman, 2002 (pp 104-105): McCain felt a huge impact as the Zuni rocket tore through his plane on the right side and exited on the left side, ripping open his fuel tank with four hundred gallons of JP5 jet fuel. The more recent account by James Caiella, however, comes to a different conclusion. Writing in 2003, Caiella points out, correctly, that the official Navy investigation into the disaster – the Manual of the Judge Advocate General Basic Final Investigative Report Concerning the Fire on Board the USS Forrestal (CVA-59) – concluded that the missile struck plane number 405, the A-4 piloted by Lt. Cdr. Fred White, who was among those killed in the incident. McCain’s plane was number 416, and was next to White’s, one plane forward toward the ship’s bow. Caiella has kindly provided us with official Navy summaries of the investigation documenting this finding. He has also allowed us to reproduce here a portion of a drawing he created, based on the Navy report, to illustrate his article. It shows the positions of the aircraft on deck at the time the fire began. Rear Adm Massey, Sept. 19, 1967: A review of the voluminous material contained in the Report of Investigation establishes the central fact that a ZUNI rocket was inadvertently fired from an F-4 aircraft (#110) and struck the external fuel tank of an A-4 aircraft (#405) which was clustered in a pack along with other aircraft on the deck of the USS FORRESTAL. This inadvertent firing of the rocket resulted in a raging fire. Massey makes no reference to McCain or plane number 416. Another summary, written by the Navy’s Judge Advocate General as he forwarded the report to the Chief of Naval Operations, also said the missile “struck A-4 #405” and set off the fire. That summary also says that “A fragment punctured the centerline external fuel tank of another A-4 just aft of the jet blast deflector of catapult #3” That second plane isn’t identified specifically, but McCain’s plane was fifth in line behind the catapults. Caiella says he believes it was plane #310. McCain, 1967 statement: I was just ready to commence the aileron trim check… when I heard a loud explosion and immediate fire all around the airplane, at first I thought LCDR White’s airplane had exploded or the explosion had occurred beneath my starboard wing due to the proximity of the explosion. I now think that it might have been one aircraft further aft but I am not sure. Q: Did you think in your own mind at this point that something had hit your airplane or not? McCain: Yes, sir. The reason, looking back on it, I think I felt… I would like to add about my testimony, after seeing the bomb go off and the injuries involved, I was a little bit emotionally upset and some of the things that I may remember, I may not remember exactly. But when I saw LCDR Hope on the hangar deck, and I believe you can ask him about this, the first thing I said to him was, ‘Herb, I thought I had killed you.’ So I must have believed that it was from my aircraft at that time. Then I heard so many other stories as to what happened, I didn’t believe it was my aircraft. But at the time, I think, I believed that it was my aircraft or the one right next to it. Much physical evidence was of course destroyed by the series of bomb explosions that began 90 seconds after the first impact. It is possible that the missile hit White’s plane and that fragments of it also hit McCain’s. We judge that the missile most likely hit White’s plane, not McCain’s. We base this on the unequivocal finding of the official investigation and the uncertainty that McCain expressed just a week after the event. His memory 32 years later, at the time he published the book, we consider less reliable. In fact, his 1999 version departs from the official report in other respects as well. He writes in his book that his plane carried 200 gallons of fuel, but the official report says the A-4s carried 400 gallons. McCain writes that “two of my bombs” were knocked to the deck, but the Judge Advocate General’s summary mentions only one bomb, a 1000-pounder that “fell onto the deck from A-4 #405,” White’s plane. McCain doesn’t mention bombs falling from his own plane in the testimony and statement he gave immediately after the disaster. And while pilots tell us that a “wet start” is possible even without an afterburner, the theory fails for another reason. 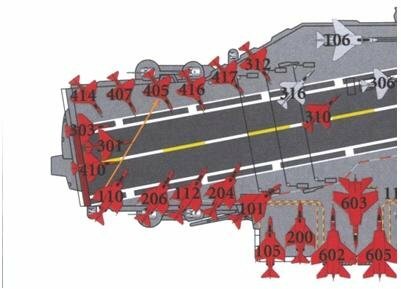 The tail of McCain’s plane was pointed over the side of the carrier and away from other planes at the time, and the F4 Phantom fighter that fired the missile was facing McCain’s plane from the opposite side of the deck, as shown in Caiella’s diagram, in other diagrams, and in Navy film of the fire. Freeman, 2002 (p. 250): The investigation revealed that the rocket (fired) because a freak surge of electricity jumped through the plane’s system at the moment the pilot switched from the outside electrical generator to the plane’s internal power system. And as Caiella also notes in his account, the investigation found that in the wartime pressure to get planes launched quickly crews had not observed two key safety precautions that could have prevented the stray spike of electricity from firing the rocket. The “pigtail” that connects the plane’s wiring to the missile had been plugged in prematurely, before the plane was on the catapult, and a safety pin that also would have prevented the firing also had been removed. Freeman has posted an item on his own Web site flatly stating that McCain was in no way responsible for the accident. “McCain was never suspected of causing the fire because investigators determined immediately that the rocket misfired from the other side of the flight deck,” writes Freeman. The fourth plane McCain lost was of course the Skyhawk shot down over North Vietnam on Oct. 26, 1967. The previously mentioned official citation describes 15 enemy surface-to-air missiles fired at the attacking U.S. planes and “extremely heavy and accurate antiaircraft fire.” Far from blaming McCain for the loss of his plane, the Navy awarded him, in addition to the Distinguished Flying Cross, the Silver Star for his “conspicuous gallantry” while imprisoned by the North Vietnamese for the nearly five-and-a-half years that followed. Shortly after his release he was promoted again, to full commander. Timberg, Robert. The Nightingale’s Song. New York, NY: Simon & Schuster, 1995. McCain, John and Salter, Mark, Faith of my Fathers. NY: Random House 1999. Vartabedian, Ralph and Serrano, Richard A. “Mishaps mark John McCain’s record as naval aviator” Los Angeles Times 6 Oct 2008 Caiella, James M. “1051 Hell,” Foundation magazine Fall 2003. Freeman, Gregory A. Sailors to the End. 2002. Federation of American Scientists, Military Analysis Network, “A-4 Skyhawk.” Web site accessed 8 Sept 2008. Boeing Corp. “History: A4D/A-4 Skyhawk Light Attack Bomber.” Web site accessed 8 Sept 2008. Apple, R.W. Jr., “FORRESTAL TOLL MAY REACH 125; 69 STILL MISSING; Rescue Teams Press Search but Little Hope Remains for the Other Crewmen SHIP WAS NEARLY LOST She Leaves Vietnam Combat Zone for Subic Bay Base –Tales of Heroism Told” New York Times 31 July 1967; A1.